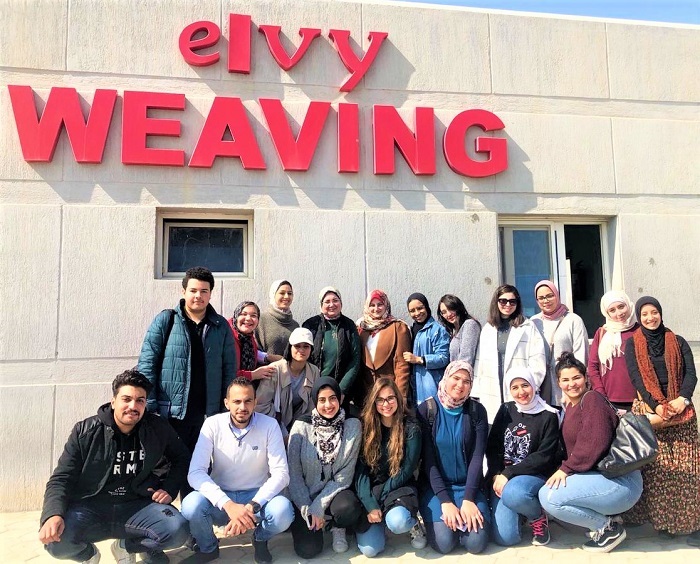 The Fashion Design Department organized a field trip to Elvy Weaving Factory in Borg El Arab for freshmen, sophomores and juniors. This was held on Saturday, 9 March, 2019. This field trip was a practical application of the “Sewing Technique” course. 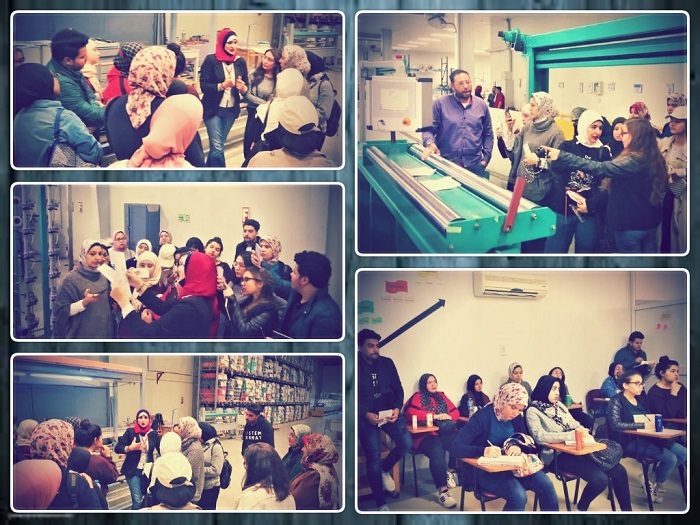 The coordination of the field trip was managed by Associate Prof. Nahla El Deeb, the acting head of the Fashion Design Department and Ms. Marwa Isa, an assistant lecturer.